Kasey Leander is a Fellow with the Oxford Centre for Christian Apologetics (OCCA). 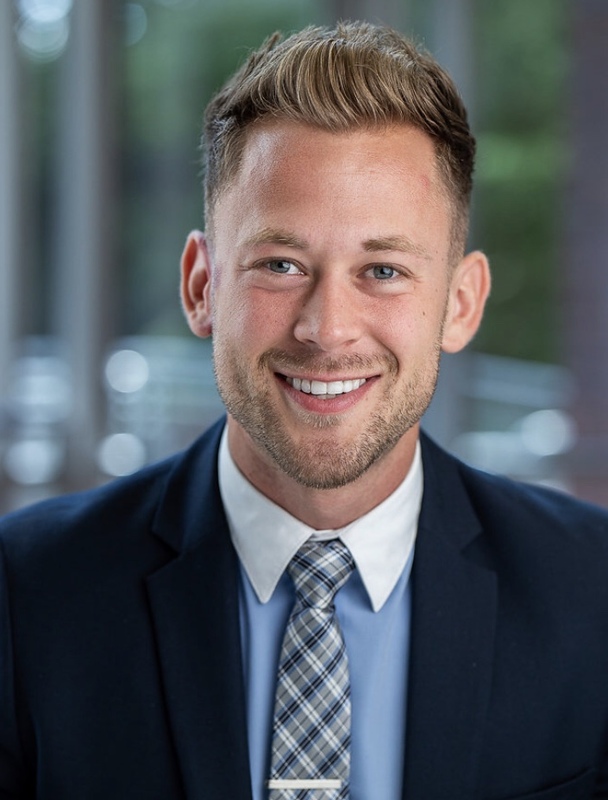 Prior to his time at OCCA, Kasey earned an undergraduate degree in history and PPE (Politics, Philosophy, and Economics) from Taylor University. While at Taylor, Kasey served in various leadership roles on campus and was active in student government. He has also worked briefly in politics, serving as an intern in the US Senate in Washington, DC. A love of discussing the big questions of life has led Kasey to his current job. As an OCCA Fellow, he enjoys speaking on topics such as the need for God in moral reasoning, the philosophical underpinnings of popular culture, and the historical basis of the Christian message. In a world of increasing ideological divergence, Kasey’s great joy has been exploring the peace, truth, and clarity of the gospel of Jesus Christ. Kasey originally hails from Colorado Springs, Colorado, and is a huge fan of hiking, Chipotle, good books, and ultimate frisbee. Rosalind is a MIT Professor of Media Arts and Sciences, founder and director of the Affective Computing Research Group at MIT Media Lab, co-director of the Media Lab's Advancing Wellbeing Initiative, and faculty chair of MIT's Mind+Hand+Heart Initiative. Picard also co-directs the MIT Autism and Communication Technology Initiative. The author of over two hundred peer-reviewed scientific articles in multidimensional signal modeling, computer vision, pattern recognition, machine learning, and human-computer interaction, Picard is known internationally for pioneering research in affective computing and, prior to that, research in content-based image and video retrieval. She is a graduate with highest honors from the Georgia Institute of Technology and holds Masters and Doctorate degrees in Electrical Engineering and Computer Science from MIT. Picard is an active inventor and her group's inventions have been twice named to "top ten" lists, including the New York Times Magazine's Best Ideas of 2006 for their Social Cue Reader, Used In Autism, and 2011's Popular Science Top Ten Inventions for a Mirror that Monitors Vital Signs. She interacts regularly with industry and has consulted for many companies including Apple, AT&T, BT, HP, i.Robot, Merck, Motorola, and Samsung. Matthew Mittelberg is a Fellow with the Oxford Centre for Christian Apologetics (OCCA). He earned a bachelor’s degree in Entrepreneurial Business from Grand Canyon University in Phoenix, AZ. Matthew also received his Certificate of Theological Studies at Wycliffe Hall, Oxford University. He has spent an extensive amount of time studying the philosophical underpinnings of various worldviews. Matthew loves thinking about the intersection of faith and reason, and how these topics affect the deepest questions of life. He has spoken at colleges, churches, societies, and training events and is passionate about helping everyday people understand that faith in God can actually make sense. Matthew also enjoys spending time with friends, playing Ultimate Frisbee, and eating authentic Japanese ramen. Tom Rudelius is a postdoctoral researcher at the Institute for Advanced Study in Princeton, NJ. His research focuses on string theory, early universe cosmology, and the relationship between the two. 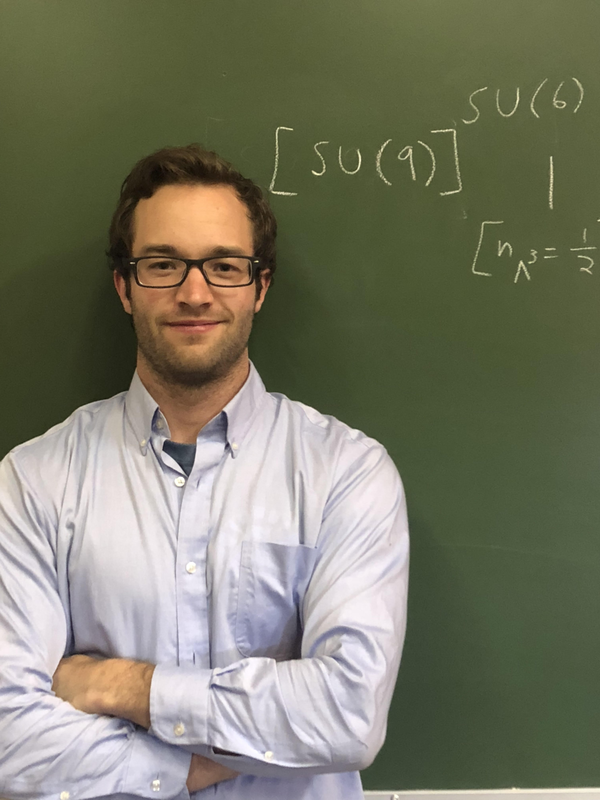 He holds a Ph.D. in physics from Harvard University and a bachelor's degree in physics, mathematics, and statistical science from Cornell University. Will Tant is an OCCA Fellow based in the New England area. Prior to his time at the OCCA (Oxford Centre for Christian Apologetics), Will was a professional surfer. For over ten years, Will traveled and competed all over the world including Indonesia, the Philippines, Sri Lanka, Japan, Australia, New Zealand, South Africa, Central and South America, as well as Europe and the UK. During this period, Will served as an ambassador for a variety of humanitarian causes, most notably SurfAid International. Lou studied at Grove City College where he earned a bachelor of science degree double majoring in Molecular Biology and Political Science. After college, he interned for the Heritage Foundation at their Center for Health Policy Studies and then became the Health Policy Legislative Correspondent for Senator Tom Coburn of Oklahoma. He received his Certificate of Theological Studies from Oxford University (Wycliffe Hall) and was trained at the Oxford Centre for Christian Apologetics (OCCA). As a Fellow, Lou enjoys speaking on subjects of sexuality, identity, purpose, and the intersection of science and faith.